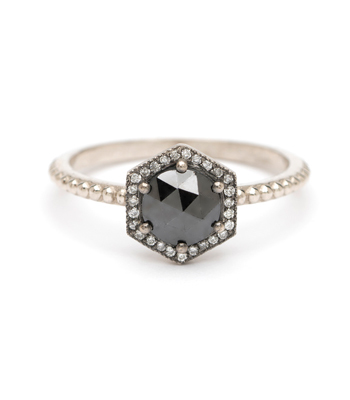 Vintage influence meets a modern, edgy design. 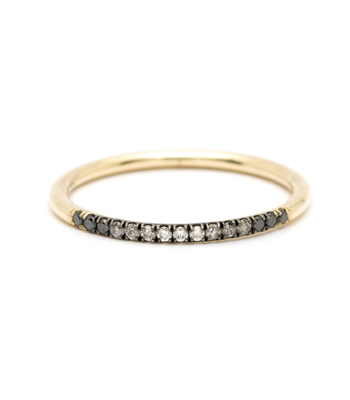 Set in 14K high polished yellow gold, a stunning champagne-hued Old European Cut diamond (1.05 ct) is highlighted within a black diamond set hexagonal frame (0.16 ctw). 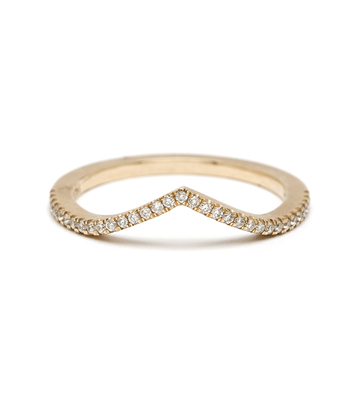 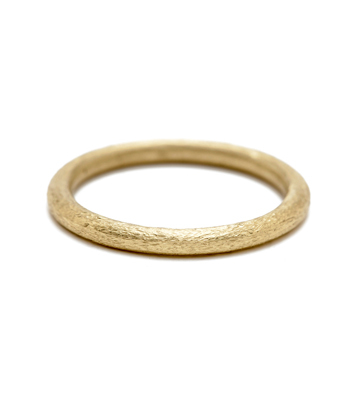 A smooth round band adds a clean and uncomplicated touch. 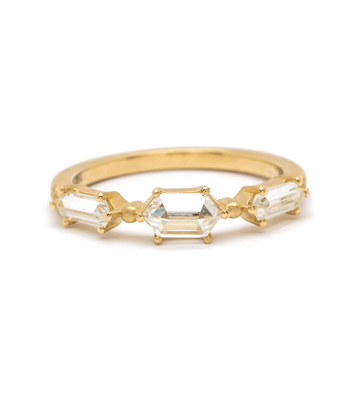 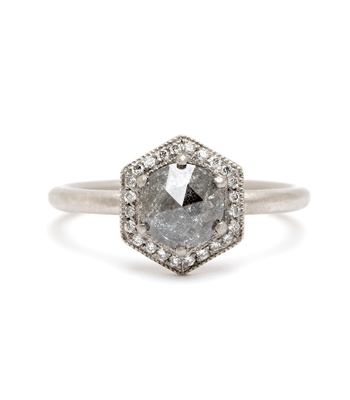 The piece would make a perfect engagement ring for a stylish modern bride, who loves a touch of spice!